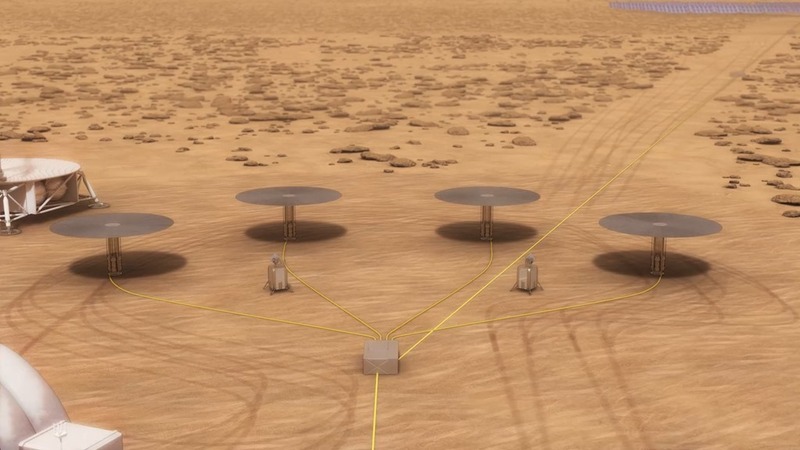 An artist’s impression of a nuclear power system, consisting of four separate fission reactors, for Mars habitats. 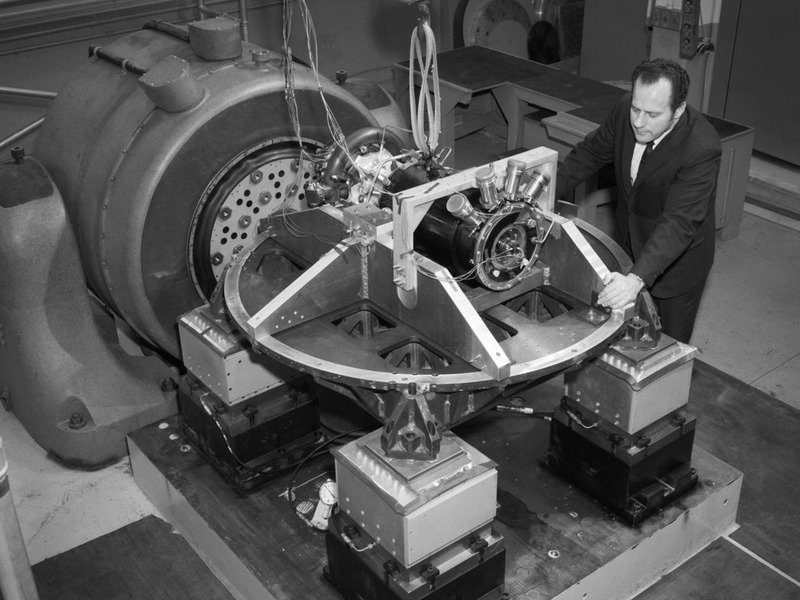 A photograph of the SNAP-8 generator from the Lewis Research Center, part of NASA’s Systems for Nuclear Auxiliary Power (SNAP) program. Here, engineers exposed the system to shocks and vibrations expected to occur during a launch into space and subsequent maneuvering.